" And The Oscar Goes To!..." 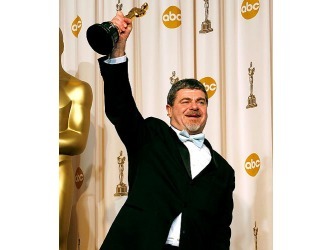 The Academy Awards® has been a prominent part of American Film culture since the first telecast in 1927. However, in the last few decades, The Academy Awards® have become “a global habit” (Levy, 2003, p.39). The Oscar® telecast is seen in over two hundred countries worldwide establishing a Transnational connection. In recent years, The Oscars® have been streamed over the Internet with millions tuning in globally to see their favourite stars walk the red carpets, and their films being honoured. 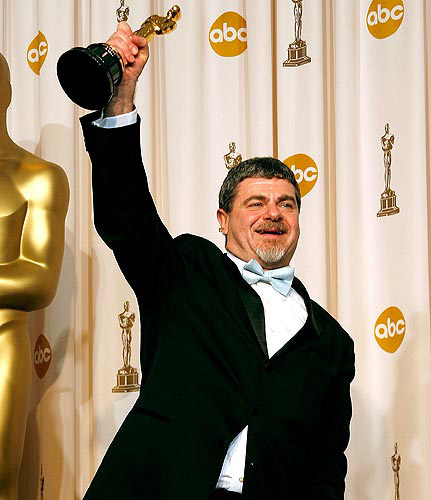 Levy expresses that “the Oscar® telecast is itself ultimately a far more important global media event than the Academy Awards® [itself]” (2003, p.18). The reason for this is that mainstream Hollywood awards are now viewed as a global event crossing nations and borders beyond the Kodak Theatre in Los Angeles. Even the precursors to The Academy Awards® such as the SAG awards, BAFTA awards and more importantly, the Golden Globes are being celebrated worldwide with millions tuning in through the mediums of television and the Internet. This creates a culture of transnationality as the world is united by the same event. Levy states “the fact that once a year people around the world talk about the same movies at the same time is an amazing phenomenon” (2003, p.26). The Foreign Film category was introduced in 1948 after they had started being exhibited to audiences in the USA towards the end of World War II. Since then, the Academy Awards® has celebrated world cinema every year awarding a small independent film with the iconic golden statue. 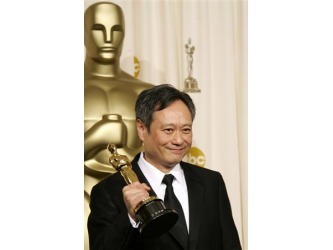 This creates a culture of transnationality as the Oscars® give recognition to world cinema and displays the acceptance of global film-making and smaller films in mainstream Hollywood. This acceptance breaks down borders of nationality and becomes Transnational. 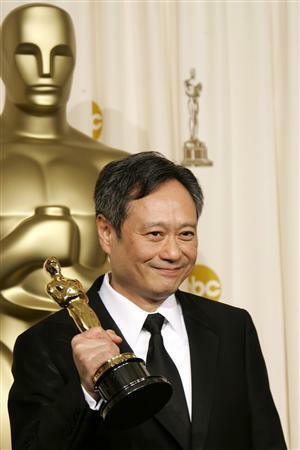 Oscar® success can turn a film national to Transnational. A recent example of this is the enormous success of Danny Boyle’s Slumdog Millionaire (2008). A British film, made in India and honoured in America highlights the notion of transnationalism. The protagonist is British-Asian accompanied by a full Indian cast with an all British crew, creating a fusion between British and Indian culture. The film was honoured with the title of ‘Best Picture’ at the 2009 ceremony displaying how a small multicultural film can strike chords with audiences worldwide and merge cultures. Oscar® has awarded two actors the title of ‘Best Actress’ for work in Films not even in the English language. 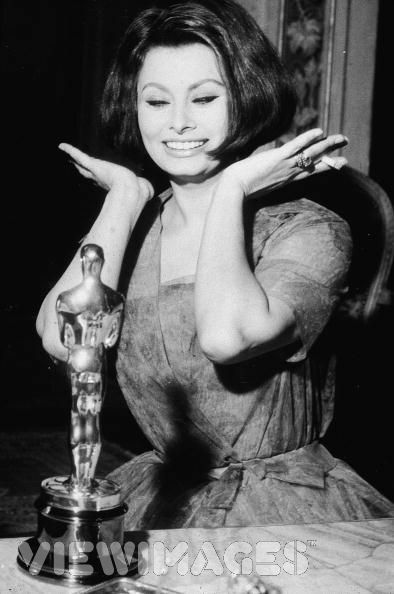 The first was Italian born Sophia Loren in La Ciociara (De Sica, 1960) and the most recent being French born Marion Cotillard for La Vie en Rose (Dahan, 2007). This suggests a world wide acceptance of foreign cinema that a Film does not have to be spoken in the default language of English for it to have been enjoyed by mainstream audiences. 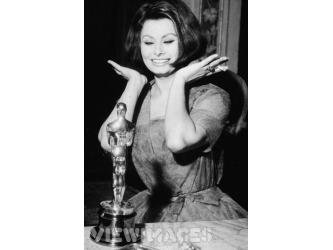 [ CLICK ON IMAGES TO ENLARGE: Below Left: Sophia Loren, 1961 ceremony. Below Right: Marion Cotillard, 2008 ceremony]. Some of the Film industry’s well known and respected actors such as Daniel Day-Lewis and Christian Bale are creating a culture of transnationality through their choice of roles. Both actors are British born yet the majority of their characters have spoken in American accents and other regional dialects. This emphasises how Hollywood studios no longer only look to national borders when casting their protagonists, but now look overseas to find their leading men/women, thus constructing this notion of Transnational film-making.